"Pink flamingos always fascinated me," sings Lana Del Rey at the beginning of her new single, Music To Watch Boys To. Presumably she is ruminating on the birds' grey feathers, which only turn pink because of canthaxanthin, a naturally-occurring pink dye they absorb via their diet of brine shrimp and blue-green algae. But sadly, the song doesn't expand on the science, or Lana's burgeoning interest in ornithology. Instead, she goes on to sing in her familiar, louche style about being single and ogling boys. 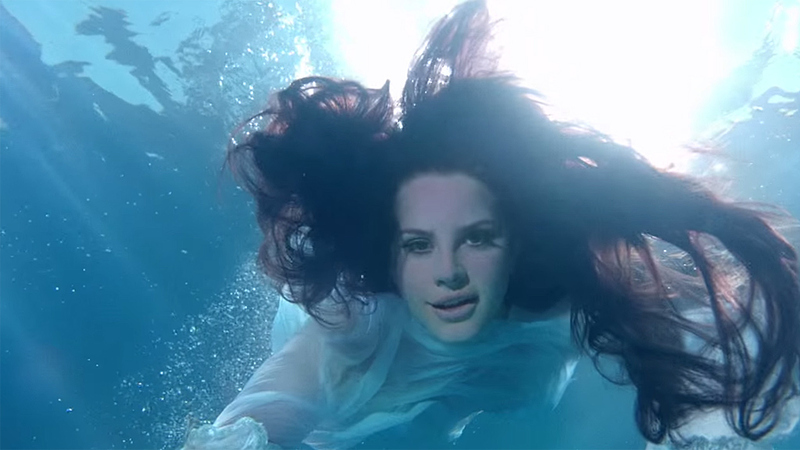 The video is typically impressionistic and dreamy, with the singer reclining on a lawn-chair and wearing flower bloom headphones as she - yes - watches some boys. The album, Honeymoon, is pretty decent, too. Don't be put off if you didn't like Ultraviolence. It's much more even (although there's still nothing as good as National Anthem).